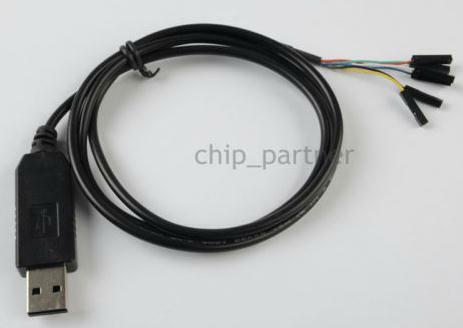 The chip_partner cable has TX/RX lights and the existing connector can be made into a 6 Pin with some glue and heat shrink. The cable costs about $10 shipped and takes about 2 weeks to arrive from China. mdavej: awesome, thanks for the link. I ordered the chip_partner one from ebay I will do some searching and see if I can figure out the configuration of the pins and how to make it into the 6pin connector. But, if you have a link for a better description on how to do so I would really appreciate it. Ill check back later. Thank you guys, you both rock! Im loving this JP1 stuff, its cool. 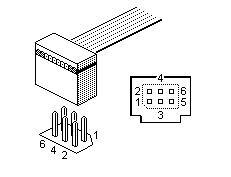 Just added a link called "(Click for Pinout)" to the first post of the Where to Buy thread linked earlier. Hey Dave, I decided to buy one of these cables too, just so once I figured it out I could help others, and it just arrived today. First, I tried using the color pinouts from one of Tommy's docs, but that didn't work, then I followed your link and used the pinout from Revwillie's post and that didn't work, so I tried the one from nejpski's post and that didn't work either. In RMIR I always started with auto detect, then I tried each of the other options. In most cases, it says downloading and the lights flash on the interface, but I always got the "no remotes found" popup. I downloaded the latest FTDI drivers from their web site, and I am testing this with a URC-8820 with batteries in it, in case any of that makes a differences. Fast flashes or slow? Virtual driver? Do you really mean URC-8810N? Or URC-8820N? There is a URC-8810 sold in Europe by OFA, but I don't think we know anything about it. Regarding the URC-8820N, I suppose that someone has tried the chip-partner cable with JP1.2 remotes, but I don't know that for sure. I knew I would get the model number wrong, that's how rusty I am with this stuff, and when I went to check the model number on the battery cover, I found that the cover came from a URC_6131N ! So yeah, the one that's basically the same shape as that, is that the 8820N ? The flashes looked normal, and RMIR said it was downloading, but then it stopped and said no remotes. And I was just attaching the wires to the pins individually, using the single connectors that it comes with. My intention was to throw a regular IDC connector on there, as I still have loads of them, but obviously I need the right pinout first. And I am assuming that pin1 is still the one with the "cutout" in the border around the 6-pin, so top right corner as you look at it in the 8820. I'd use the 983 command to get the signature. Then we'll at least know which remote you're working with. Maybe Vicky can help with the pinout for a 8820. I'll check tonight on some JP1.3 remotes. Maybe Vicky can help with the pinout for a 8820. I'll check tonight on some JP1.3 remotes. I dont have a clue as to what a pinout is, lol. The notch in the outline is still pin 1. 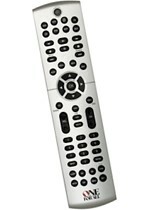 There are two 8820n jp1.2 remotes that look like the 6131n. The can be differentiated by the colors of the oneforall logo or the signature. Then there is another URC 8820 that is some kind of cable remote that has one of the newer interface types jp2 i think but i am not sure. so here's what I did, I went back to Tommy's doc on the FTDI cable and made a note of which color he was attaching to each pin, then I went to the FTDI spec to see what each color wire is, then I went to the ebay listing to see what color coding they use and I got to the right combination, which turns out is the combination that Revwillie posted, so I don't know why it didn't work before, but it works now. Ok, here's some advice for anyone that tries to add a regular IDC connector onto the end of one of these cables, when you wire it, use all 6 wires (ie, with red on pin 1 and blue on pin 5) then once you've got it clamped down, then snip the red and blue wires. If you snip them beforehand, it's virtually impossible to leave just the right spacing for the 2 missing wires (at least, it was for me). The link in the top post in this thread no longer goes to Chip Partner but to a supplier called asp_ezone. A web search for the same cable from Chip Partner gave me this link: https://www.ebay.co.uk/itm/PL2303TA-USB-Cable-USB-to-TTL-Serial-Cable-Adapter-FTDI-Chipset-for-Win-7-8-/401430044446#payCntId. Which is the recommended supplier now? I am wondering whether to get a cable with separate leads in view of the issues that have arisen in this thread concerning the URC-2020. You linked cable looks correct. I recently bought this one, but it hasn't arrived yet, so I can't confirm if it works or not. I couldn't find the new Chip Partner listing at the time. Hey mdavej, did your Cable work? I bought the same one, and while downloading from remote with RMIR it appears an error. an dDownloading Raw fails with unable to read the signature... any conclusions? I'm on a Mac by the way.. Mine didn't work either. Best to stick with Chip Partner.